Watch out !The poster on IMDb main page is NOT that of the movie! 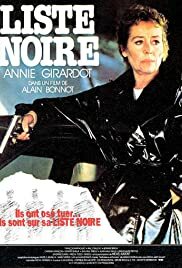 I have always liked Girardot ,a talented natural nice actress ;but her career ran into difficulties in the eighties:this movie ,a commercial flop was the beginning of a long decline,which ended in the late nineties /early naughties,before she got Alzheilmer's disease. André Cayatte ,who could direct Girardot quite well ,had called it a day in 1978 and the actress is left to her own devices.In a screenplay full of plot holes,it is a plea for self-defense and I-take-the-law-in-my-hands ,not exactly Girardot's ideas(she was known as a very liberal person) .